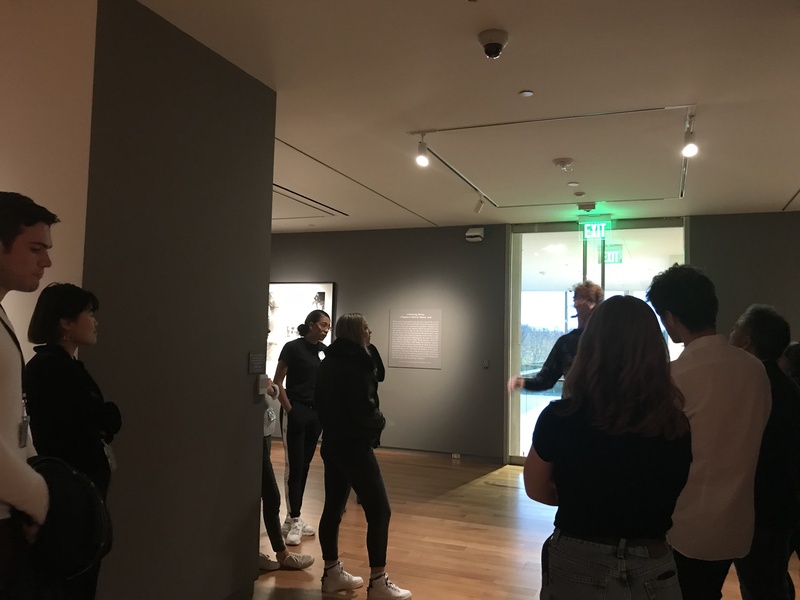 On Friday, November 9, student guides and staff members from the Harvard Art Museums came to the McMullen Museum to complete the second component of our exchange program. Harvard students were greeted in the atrium by Professor Nancy Netzer before heading to our first floor conference room. Sophia Cocozza, co-chair of the Education Committee, had the opportunity to delve a little deeper into the specific roles and responsibilities of a McMullen student ambassador. The co-chairs of each of our six committees presented an overview of their main projects and goals for the semester while using visual aids to showcase components of our website, 3D-Vista tours of past exhibitions, an inside look at our database, and more. 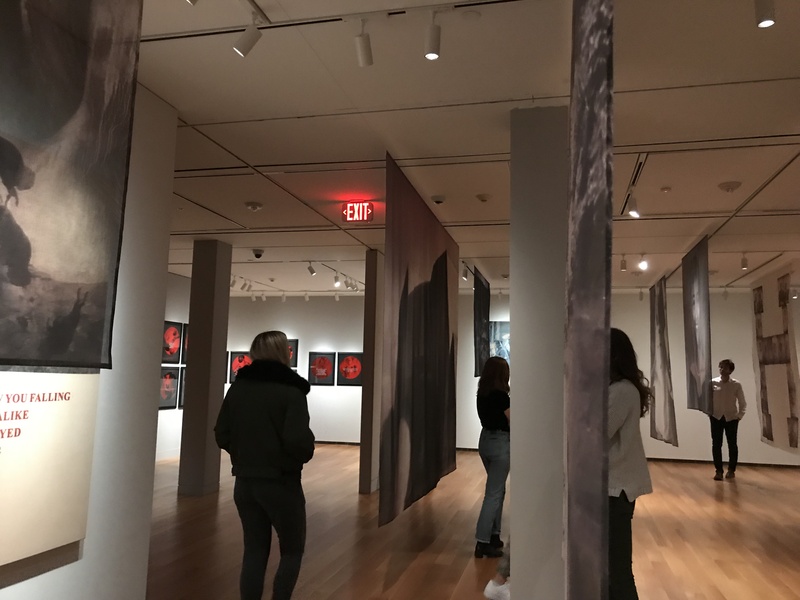 The Harvard students were split into two groups and brought on tours of the second and third floor galleries of the museum. 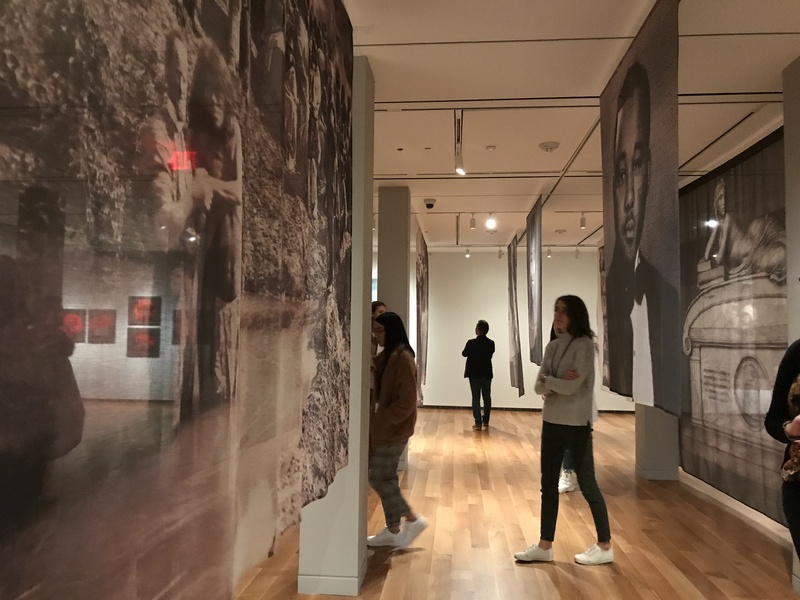 The tours were facilitated by members of our Education Committee, who each conducted extra research on components of Strategies of Engagement to inform Harvard’s student guides about Carrie Mae Weems herself and pieces from her vast array of work. Interacting with other student workers, conversing about the exhibition and discussing the differences and similarities of our experiences working in art museums coupled with the actual trips to these unique spaces has been such a positive endeavor for all involved. We are so happy to have had this exchange and so grateful to have had the Harvard student guides participate! Previous What Issues Concern BC Students?